Independent labels make up the bulk of the music industry, and it's to Apple's advantage to keep them happy. The story of Taylor Swift versus Apple Music is making the rounds, being retold through countless lenses. My favorite version is the one that ends with Taylor Swift gracefully riding a Photoshop dragon away from Cupertino, but I have a flair for the dramatic. Nearly all the stories I’ve seen have simplified things down to a superstar singlehandedly making Apple back down from its stance of not paying artists and labels for stream their music during a three month trial period. This happened, but it’s far from the only thing that happened. Rumors surfaced in October of 2014 that Apple was negotiating with the major labels in hopes of offering its upcoming Music service at a lower price point than competing streaming music services. That didn’t work out so well, and when WWDC 2015 rolled around Apple announced a subscription service at the same $10/month starting price point as competitors like Spotify and Tidal, but with a three month free trial. Over seven months since initial rumors of label negotiations surfaced, most independent labels and artists learned about Apple’s new music service like the rest of us: from Jimmy Iovine and Eddy Cue on stage. A launch date of June 30 was given, a clear indication that independents would be offered a take-it-or-leave-it deal. The indies didn’t take it. Before we go any further, I need to clarify what I mean by an independent label. You’ve got the three RIAA major labels, and then there’s everyone else. Independent labels and artists are represented by groups like A2IM, Merlin, or the Content Creators Coalition—loose communities, not a legal/media juggernaut. Indie labels can be as small as one person releasing music he or she loves, up to labels like the Secretly Group, Beggars, Merge, and even Roc Nation. Independents take anywhere from 40 to 50 percent of Grammy wins, make up more than 35 percent of total US music revenue, and dominate year-end lists from critical outlets online and off. 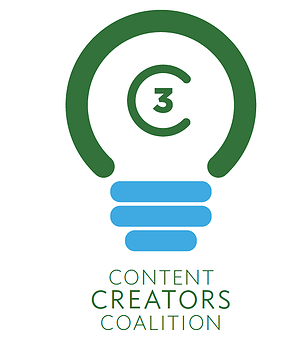 Nonprofits like the Content Creators Coalition can help indie artists and labels figure out stuff like digital rights. So simplifying things down to how “the labels” treat artists or negotiate with large corporations is unfair. Independent labels pay more than a typical major label deal (generally from 30 to 70 percent, with a 50/50 split of profit as a common deal.) Apple’s deal with the majors brought a slightly better revenue payout from subscriptions, but with artists and labels paid nothing during the free trial period. Apple was asking artists to take a quarter of the year off from being paid so they can build user base. There are plenty of arguments why a strong user base is best for artists in the long term, but to sacrifice a full quarter’s pay is a big thing to ask anyone, and Apple was asking a field of mostly middle-class working musicians to take that pay cut. On top of that, they’re changing the way Apple approaches music, and for many in that group iTunes is a lifeline, providing regular income from a service that pays on time. Will download sales remain constant with a free all-you-can-stream buffet sitting right next to that Buy button? Taylor Swift wasn’t just talking about holding out her own 1989 album, she was giving a voice to all the independent artists and labels who weren’t going to sign the deal offered them. Because of distribution deals with major label-owned companies that require digital rights in order to get physical product to retail, many independent labels didn’t have a say whether their catalog would be part of Apple Music. In many cases, those deals are different country to country. So while Apple wasn’t facing a hole to the tune of 35 percent of recorded music, it was looking at unhappy artists and a significantly reduced catalog inconsistent from country to country. Last Friday, Apple put the hard sell to rights-holders who had yet to sign a deal. It was to be the last day possible to sign and still be featured in the new service. There was no compromise on the three unpaid months. There was no reassurance or information about plans for download sales versus streaming. This was a different kind of Apple than independents were used to, and they didn’t like it. Apple was stuck in a corner, and Taylor Swift gave them a fantastic way out. What’s alarming is that Apple hasn’t historically been a company that ignored independent artists. To see a community of labels and artists all pull together and collectively say “this isn’t right” only to be ignored until the largest independent artist on the planet says something? That doesn’t feel like Apple thinking different. Most streaming services are unimaginative, but the one that listens to artists and builds a future for them as well as itself can change everything. For Apple Music to succeed, Apple will need to listen to artists and labels of all sizes. The company did this with at advent of iTunes, and it provided a lifeline for musicians at a time when it seemed there was little hope. It hasn’t been a great start for the future of music at Apple, but there’s time. Apple can do great things if it treats this as a partnership with artists rather than a gatekeeper to rule all gatekeepers. Most streaming services are unimaginative, but the one that listens to artists and builds a future for them as well as itself can change everything. This isn’t about catalog size, or even scale, but about building an open platform where artists can truly connect to their audience and thrive. Catalog, curation, and convenience are the keys for end users. Open access, rich data, and more ways to build on top of the service are meaningful ways for this to be a better future for artists. There’s no reason those things can’t coexist. Apple just needs to get more creative. Here’s hoping this brave new Apple has a little of the old Apple left in it.